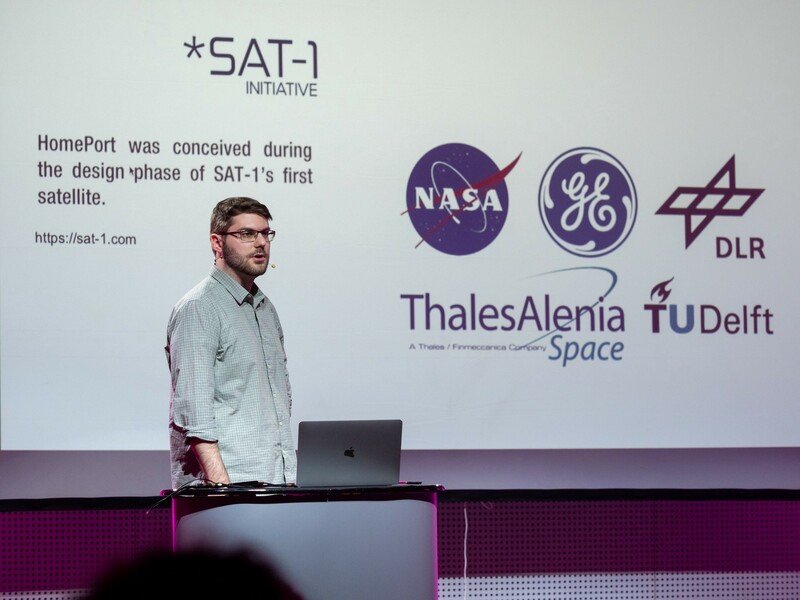 On Thursday, 11th of April, Starfleet 2 Demo Day happened, the culmination of the Starfleet program — the startup accelerator powered by æternity Ventures, the investment arm of the æternity Blockchain. We are now dying to share all the spicy stuff around this exciting event with you! Read on. Starfleet 2 Demo Day kicked off with our CEO Nikola Stojanow welcoming speech who, by the way, flew back from Liechtenstein and landed in Sofia just 2 hours before the event. Further, the 8 amazing projects that made it to this stage, had 5 minutes to talk about the concept, the business model as well as the features that make their projects unique. In the following lines, we will share more about each of them, starting for the 4 winning start-ups: Abend (Germany), Cryptotask (Croatia), and Homeport (Bulgaria), Cryptic Legends (Serbia/Malta),. Abend is a cashless, user-friendly, on-site payments platform whose prototype is already running on æternity blockchain. Hooray! The system will work both online and offline. 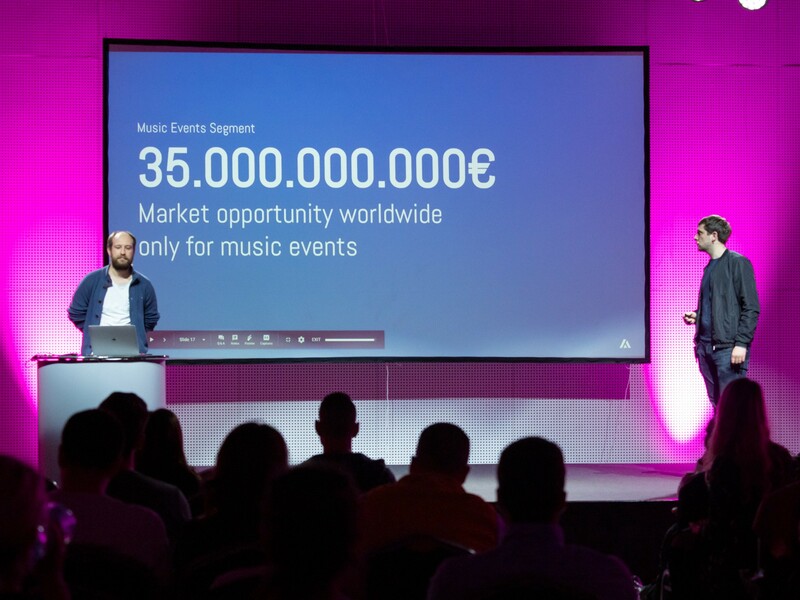 To boot, the team behind the project aims to create “own little economy” for each festival and club, starting from those in Germany and then targeting the music events segment internationally. So far, they have built their own ticketing system and gained access to more than 1 000 000 events. Additionally, last year, the Abend team designed their own plastic token system for Panama festival which helped them observe some essential issues during music events, such as the messy accounting, the endless queues, and the total lack of trust between the units in the industry. While reading this, you may ask yourself how this project is unique. It’s simple: fast and transparent distribution, thanks to blockchain; safe online charge; tokens that could be utilized in multiple events and festivals not just in Europe, but around the world. Lastly, the team behind Abend engaged to build the MVP in 2 months from now and launch the alpha version in 4 months. 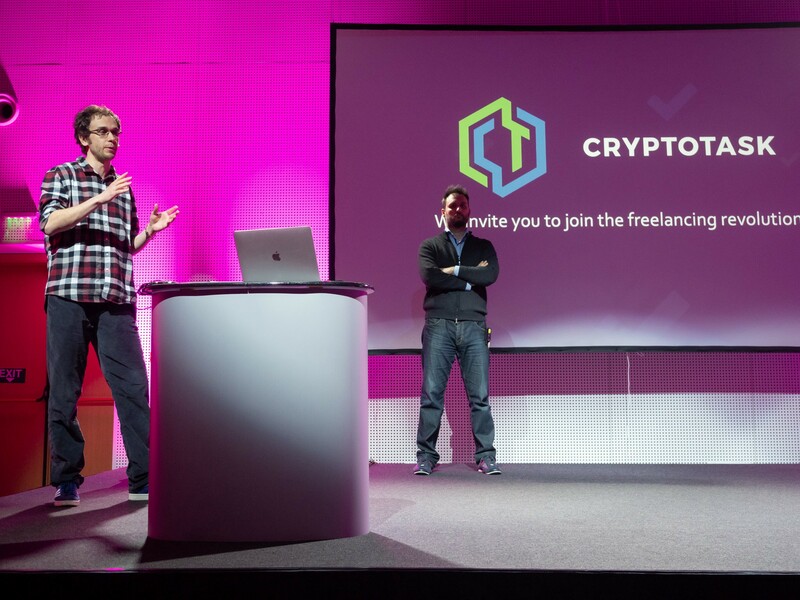 The team behind Cryptotask is inviting us to join the long-awaited freelancing revolution thanks to their user-friendly, decentralized freelancing task market, something like Upwork but better and on æternity blockchain. To start, this is a trillion $ industry that currently suffers from serious problems concerning both parties — clients and freelancers. Supplementary, Cryptotask is fighting these problems by building a blockchain-based platform that offers no censorship, effective escrow and dispute mechanism, no limits on the tasks, and a petite fee of 3%, which is about 10 times lower than the fees of the centralized systems. Right now, the team behind Cryptotask is focusing on streamlining the user experience. For Q3 of 2019, a client onboarding is planned to happen, including partnerships, sponsorships, airdrops, etc. Short and sweet, Homeport is an open marketplace for ground station capacity and data storage based on smart contracts. The main obstacle the project is fighting is the control over the data and the prices the current centralized ground station system is ruling. The key aim of the team behind this project is to build a decentralized ground station network that steps on æternity blockchain. Simply out, more stations — more flexibility. Further, HomePort allows satellite operators and individual ground station operators to set their own rules in smart contracts. Moreover, the project is concentrated on the valuable collection of satellite data, including earth imaging, atmospheric data, broadband internet, and maritime communications, using a decentralized global teleport. We are thrilled by the fact that the full version of this futuristic space project is being planned for early 2020. Looking forward! 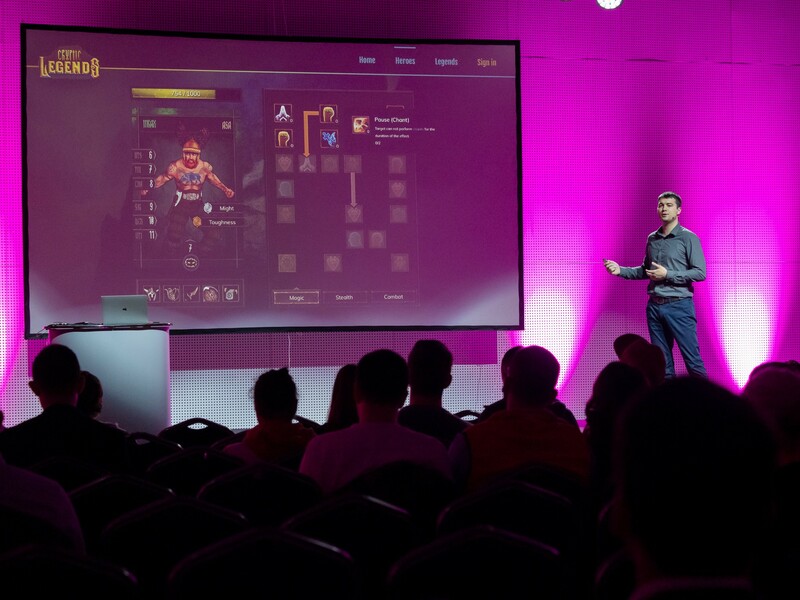 Spurred by the fact that the gaming industry is gaining twice as much as both the music and movie industries, as well as their passion for games and smart technologies, the team behind Cryptic Legends currently works on building a blockchain-based, team management game in a fantasy world. Further, each hero brings a piece of a unique story and the players will be able to collect the right ones for their party, pieces of ancient scriptures and engage in legendary tournaments. The game is planned to have free basic version, however, there will be a transaction fee of about 4% applied for trading players as well as direct sales of heroes to players (the main income flow). Besides, thanks to the futuristic blockchain technology, the creators aim to bring back the feeling of ownership and fight the scarcity. Great news everyone: the testing is planned to start today (April 12) on a conference in Dubrovnik. Cryptic Legends also became the Community Favourite project! 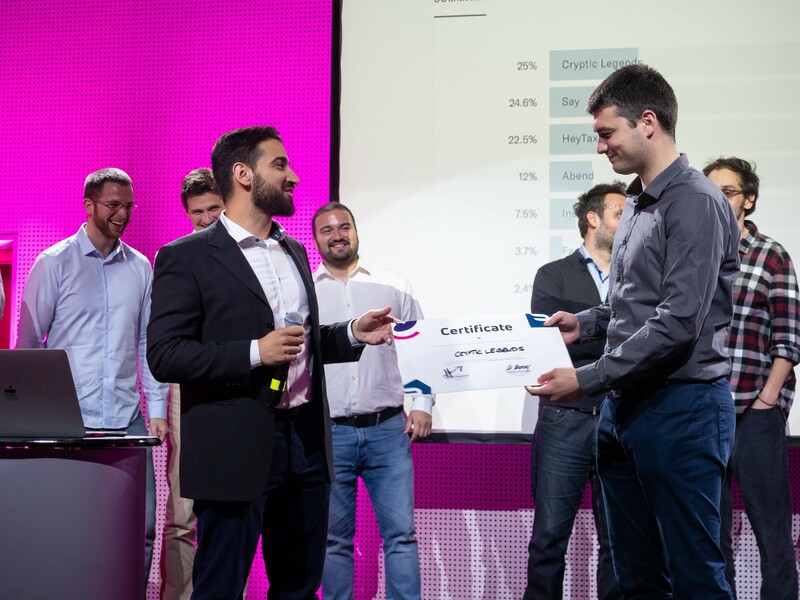 They have won a whole month of free residence in the coolest co-working space in Liechtenstein — the House of Blockchain! And the good news is not over: 10000 AE tokens will be distributed in % ratio, based on the vote, among all eight teams! 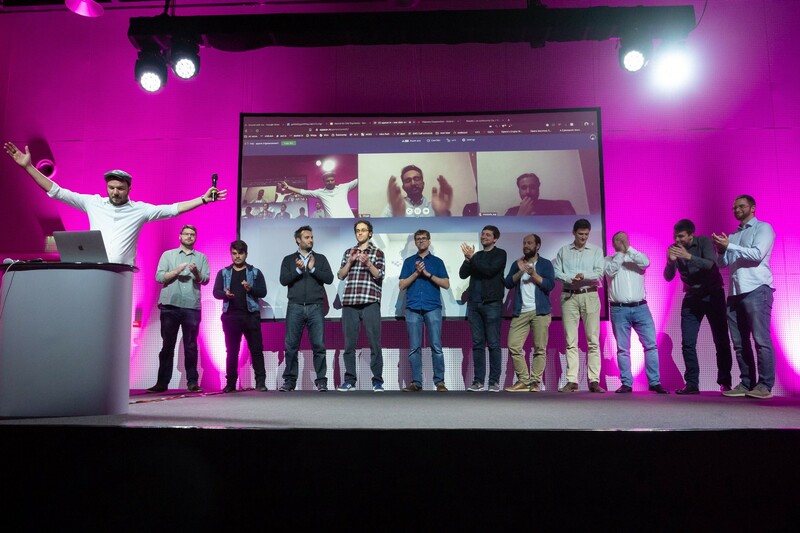 Hit the👏🏻 to congratulate the winners in the 2nd edition of Starfleet accelerator, but let’s applause the other 4 projects that didn’t win, however, they have been great opponents! 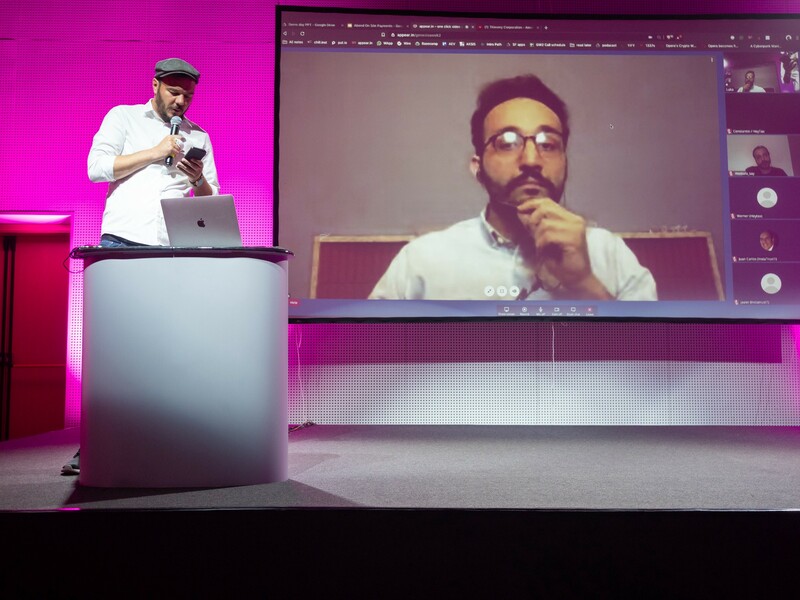 Here is what you need to know about the cool ideas behind Haytax (Germany), InstaTrust (Venezuela), Fashion project (Germany), and SAY (Iran). 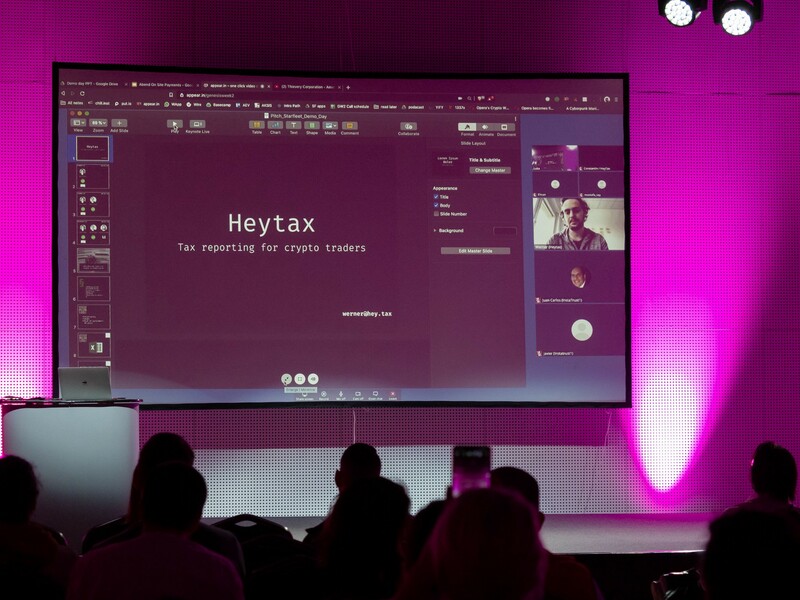 Haytax, the first and only tax reporting tool for crypto traders that’s being focused on the B2B market, had its pre-sale about 2 weeks ago. The main goal of the founders is to revolutionize the complicated tax calculation process which, actually, is still mainly being done in Excel. Heytax is already working in the alpha version which is currently being re-built in order to become more user-friendly and modernized. For now, the project is targeting the 96 000 tax advisors in Germany and aims to go internationally in order to help millions of businesses who adopt crypto payments, trading, etc. Say is a platform to share love and wealth, literally. It steps on æternity blockchain in order to fight the lack of trust and transparency in the NGOs by allowing 100% of the donations to go straight to kids in need. Furthermore, the concept behind SAY is simple but rocking — there will be users that can become virtual parents of kids in needs by making micro-donations from their phones. Further, these users will be able to invite friends and family who can become the kids’ virtual aunts and uncles. By reason of blockchain, the transactions will be fast and secured. What’s more important is that the identity of the supported children will be 100% protected. Additionally, there will be detailed weekly reports provided by social workers who will get incentivized. In the next 2 years, SAY aims to gather at least 3000 kids and 40 000 users. Planning to go online in the next 6 months, this cutting edge project intends to create sustainable growth for designers who are ignored by the industry and usually suffer from lack of money and clientele. The concept behind this start-up is to build an online platform where influencers attract customers to buy pre-sale products from designers. Further, this would cut the seasonal cycles for the brands (no more wastage) and give a chance to talented designers to sell their products. 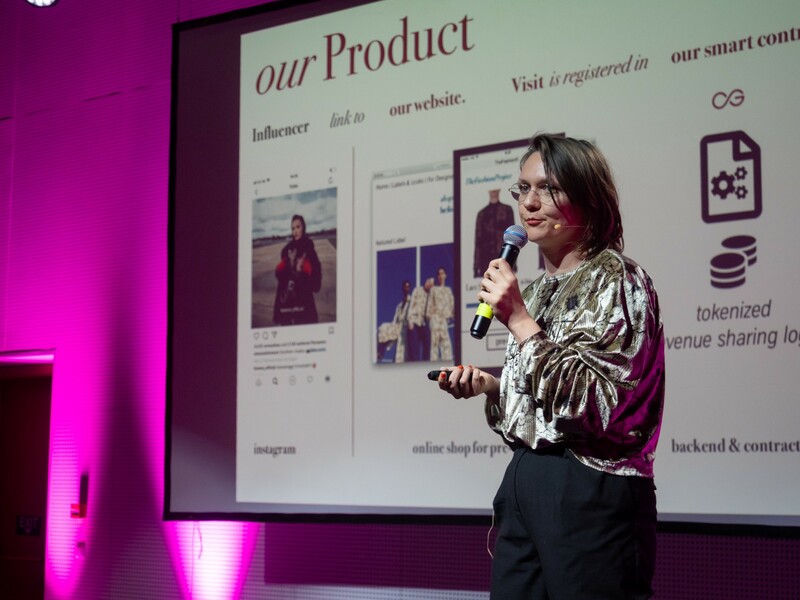 To summarize, the Fashion project will bring the balance in the fashion industry globally by creating a large online community of fashion designers, customers, and influencers, curating a tokenized product selection to validate, improve and sell products. 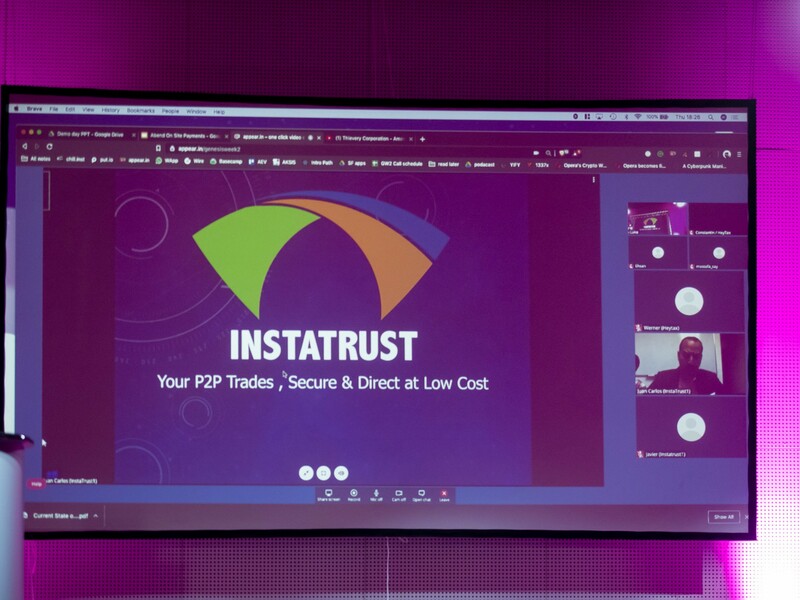 The Venezualian start-up, InstaTrust, works on launching a multi-purpose P2P exchange which is targeting B2B & B2C, crypto users, as well as remittance users. Essentially, the platform will protect parties involved in a trade from fraudulent schemes through a smart contract. Moreover, InstaTrust will be a direct and 100% secure tool due to the applicable penalty charge on disputes, the strict KYC regulation policy as well as the double authentication factor. The prototype of Instatrust is already working and its MVP supposes to be launched any minute soon — Q2/2019. Have you missed Starfleet 2 Demo Day by any reason? We got you covered! You can watch it HERE.